Five years ago, short-track skater Apolo Ohno became the most decorated US athlete in Winter Olympics history, midfielder Andrés Iniesta helped bring Spain its first World Cup title, and GiveForward co-founder Ethan Austin met Zappos founder Tony Hsieh. Lifelong dreams were fulfilled on all accounts. At an event, Austin spoke with Hsieh, one of the leading minds on and practitioners of values-based culture. 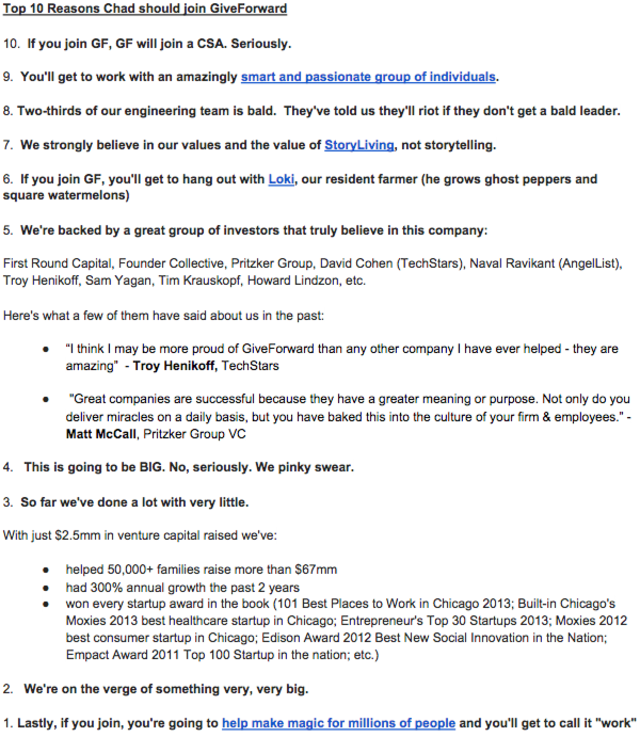 Not coincidentally, that year marked GiveForward’s first employee hire and its relentless devotion to its culture. Flash forward to 2015 and Austin appears to be less a disciple of Hsieh, and more his successor when it comes to rethinking what great company culture looks like. As with many startups before it, GiveForward provides unlimited vacation and pays for continuing education. Yet it also hosts a two-day company offsite during which talk of work is prohibited. Throughout the year, there are burrito-eating contests, handwritten holiday cards and annual tubing trips. But all this fun belies the productivity that comes out of the deeper cultural principles at play. Its 45 team members have enabled millions of donors to raise nearly $200 million in donations to pay for loved ones’ medical emergencies and expenses. In tech, culture has become largely synonymous with nerf guns, table tennis and unlimited snacks — and often written off as the cost of retention. It’s rare that startups can draw straight lines from their culture to actual business impact. In this exclusive interview, Austin outlines how GiveForward’s culture has become its competitive advantage across four areas: hiring, retention, fundraising and partnerships. The VP of Operations at Cars.com. The CTO, Head of User Experience and Senior Director of Brand Marketing at GrubHub. Executives at Groupon and the Obama campaign. These people aren’t on GiveForward’s Board of Directors or Advisory Board. They’ve left those organizations to join GiveForward as full-time employees. “I think hiring is definitely an area where culture has allowed us to punch above our weight class,” says Austin. Weird and loud is good. Weird and quiet is a losing proposition. Most people think of a job description as a request sent out into the world. GiveForward inverts that relationship, acting as if it’s putting its own resume out there to get a job with with best candidate. By making an extra effort to convey its core values — authenticity, fun, compassion and empowerment — the startup equips candidates to filter themselves and self-select before applying. This makes the process more efficient for everyone involved. Weird job descriptions weed out the boring, stuffy people and bring us the weird, creative and fun folks we want to work with. 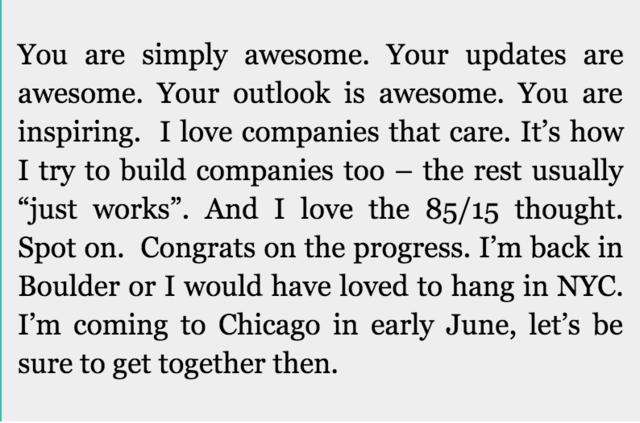 Excerpt from an email from Ethan Austin to GiveForward CTO Chad Cooper, 2013. Edited lightly for clarity and brevity. Culture evens out the inevitable ups, downs, starts and stops a company goes through. Even rocketships have refueling stations in space. Culture’s what you lean on. Today, Erica — one of those interns — heads GiveForward’s Customer Service group, one of the startup’s biggest departments. When asked why she stayed for so long unpaid, she said she felt that the company was going to be a force that changes her generation and the world for good. What’s more, she was just as fulfilled without getting paid as she had real ownership over her corner of the company — and at one point much more. Link personal priorities to corporate values. GiveForward periodically grants its employees a surprise day off to do something that recharges them, feeds their souls and makes them happy. This helps connect and fuse employees’ personal and corporate values. Empower through budget. One of the company’s mantras is to "create unexpected joy" for its users. Each employee is given full discretion over $500 to boost a GiveForward campaign or delight a user with a personal gift. One employee sent a care package with clothes and supplies to a single father whose kids were starting school. How many people get to say that they touched or changed a life at work today? GiveForward gives its employees this incredibly rare ability. Make it a habit to come together to deepen impact. 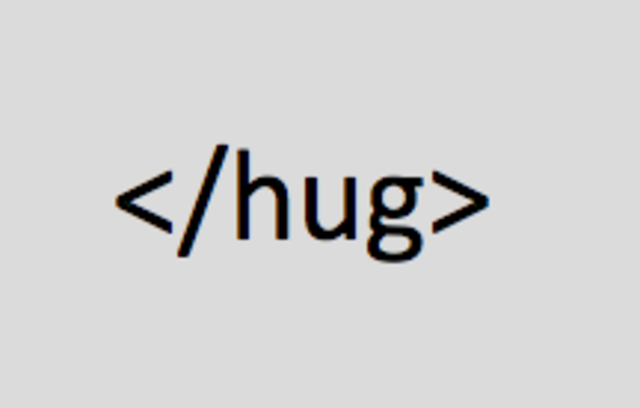 When the beneficiary of a GiveForward campaign passes away or is going into surgery, the team handwrites and sends cards via snail mail or digitally drops “hug bombs.” In this practice, a user happiness rep will rally team members to express words of encouragement via a string of posts on a user’s campaign page. No one cares about what you do. They care about why you do it. Similarly, people don’t really buy what you make. They buy your reasons for making it. As recounted by Austin, Cohen first supported GiveForward after its founders were direct and forthright with him about another investor’s term sheet. Austin and Desiree Vargas Wrigley were encouraged by the prospect of cashing GiveForward’s first check as it needed the funding, but had significant reservations. The investor had offered GiveForward $1 million at a $2 million post-money valuation. 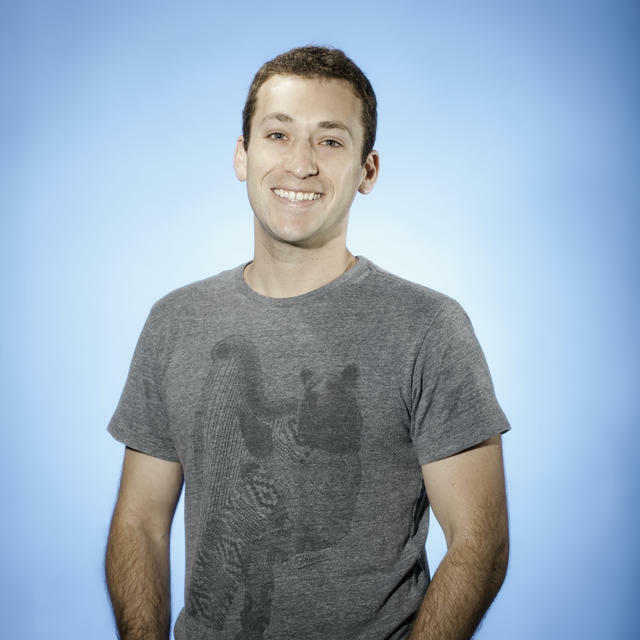 In a move you don’t see from tech founders everyday, they decided to confide what they were feeling in Cohen. He told the founders to trust their gut. They did, and GiveForward later closed a $500,000 seed round with Cohen and a group of angels. ...and soon similar feedback from the other investors rolled in. “For us it was such a boost to confirm that we had investors that embraced our weirdness and rewarded our authenticity — basically, synced with our cultural values,” says Austin. “That gave us the confidence to build the company and culture the way we wanted to create it without being second guessed." Culture’s just a fancy word for giving people something to believe in. It means clearly saying what you stand for as a company and then creating the infrastructure that empowers your team to believe in the same ideas. As with investors, corporate partnerships can also significantly change the growth trajectory of a startup. And similarly, the key is to show not tell. You can give a presentation or pitch, but most will want to touch the product or download the app. When culture is your product, you must find ways to make it tangible. If the video didn’t tip the scales, GiveForward’s Director of Business Development Ariana Vargas wanted double down to bring the team’s core work and values front and center. During her second meeting with Nationwide, Vargas created unexpected joy by arranging a surprise, in-person visit from a Giveforward user who shared her own story. When she fell ill, her wife was embarrassed and didn’t want her to have a GiveForward page. Her spouse did a complete 180 when donations and words of encouragement poured in from the community. The partnership just clicked. We collectively realized that crowdfunding is insurance after the fact and insurance is crowdfunding before the fact. Looking ahead, Austin and Vargas Wrigley see GiveForward scaling through partnerships with organizations that not only share their values, but also make people’s lives easier when they need it most. For example, partnerships, product features and integrations that enable grocery delivery, housecleaning, childcare and transportation arrangements are on the horizon. As we’ve written before, culture isn't kumbaya stuff. It’s the bedrock, put in place by founders even before a startup’s early employees “get in on the ground floor.” If done right, it won’t be the small boost, but the reason you hire a candidate, retain your star talent, get your lead investor, and close that deal. Your culture will grow alongside you, but will always sprout from the values you lay down as the foundation of your business.